The Captain will welcome you aboard at 7.30pm where you can purchase a drink from one of bars situated on each deck level of the Nottingham Princess. 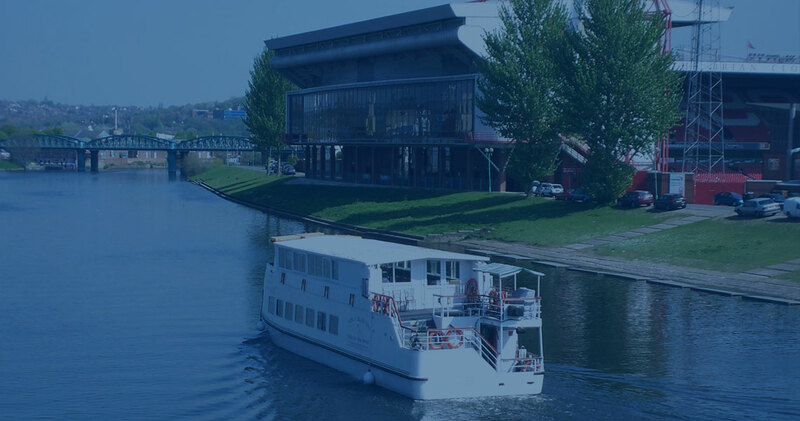 We hope to wet your appetite with the aromas coming off our BBQ or Carvery before setting off for a 3 hour cruise on the River Trent from 8-11pm. In Summer (from May) the BBQ menu consists of Pork loin steak, Sausage, Chicken breast, Coleslaw, Potato salad, Fresh green salad and Farmhouse bread and butter. We do cater for vegetarians. After your meal dance the night away to the sounds of our resident DJ and if you`ve got any party left in you after the cruise then we can arrange transport from the boat and free entrance into a top Nottingham nightclub as part of our package. This cruise oozes with fun, quality and value that will have you talking about your last night of freedom for years to come.